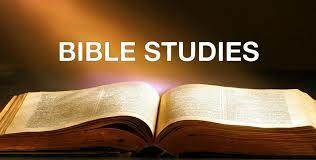 I am currently offering three Bible study classes (see below). The content is taken principally from the Hebrew Bible (a.k.a., the Old Testament) although extra-biblical material will be used to supplement and inform the student’s understanding of the ancient texts. The classes are taught from the viewpoint of the Bible’s original audience, the ancient Hebrews of the Intertestamental period. Knowledge of biblical Hebrew is not required. However, familiarity with college-level English grammar can be helpful in appreciating how a particular translation might arise from the underlying grammar. The content is equivalent to a first-year course at a college or seminary level. All three courses are non-doctrinal and non-sectarian and can be appreciated by Jews, Christians, or even secular students seeking a deeper understanding of these important texts. The Genesis Creation Stories – Line by Line: Virtually all doctrines of Judeo-Christian tradition are rooted in, and derive their meaning from, these two stories. What is not well appreciated is that both are widely and deeply misunderstood. In this class, we study the text from a literary point of view to discover the deeper truths the biblical author sought to express. Biblical Ethics: Students will study the biblical narratives as stories designed to teach one or more lessons in ethical thinking. In this class, students will learn that the Bible’s ethical proscriptions are not black and white. In fact, the Bible rightly understood prioritizes the underlying moral values upon which ethical behavior is based. Learning how to discover God’s moral priorities as expressed in the narratives of the Bible is the basic goal of this set of classes. What the Bible Really Means: Recent advances in Bible scholarship (and the scientific disciplines used by biblical scholars) have revealed that a number of beloved stories and traditional understandings of the Bible are suspect. In this course, the student will discover the true meaning of the Song of Songs, the Ten Commandments, the Bible’s distinction between sin and evil (they’re not the same), Sexuality and Marriage, among others. Each course is customizable but usually consists of 4 to 6 one hour lessons. I usually work with the sponsor (Church or Bible study leader) to tailor the schedule to the convenience of the class.